My 1st grader son wanted to enter the pumpkin decorating contest at school and really wanted to make one as a “family”. He loves space, rocket ships, and astronauts so we came up with an idea on what to make. He picked out the pumpkin and gourd himself on a field trip with his class earlier in the week. Then we spray painted the gourd the metallic silver paint that was left from his robot costume. 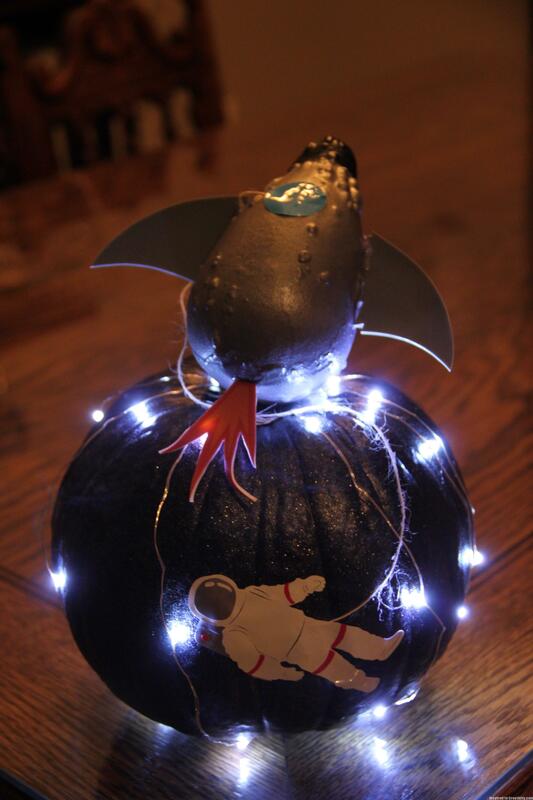 The pumpkin got three coats – black paint, black glitter spray, and a coat of acrylic to seal in the glitter. Once the squashes were painted we worked on the wings and flame for the rocket ship. Those were designed in Silhouette Studio, color reduced to 50% and printed out double sided onto shrink plastic. We both cut out the parts and after getting baked in the oven they were nice and hard. We painted the top of the gourd with some black paint. Going back to Silhouette studio we cut out all of the vinyl pieces for the astronaut and the window hole for the rocket ship and my son placed them. 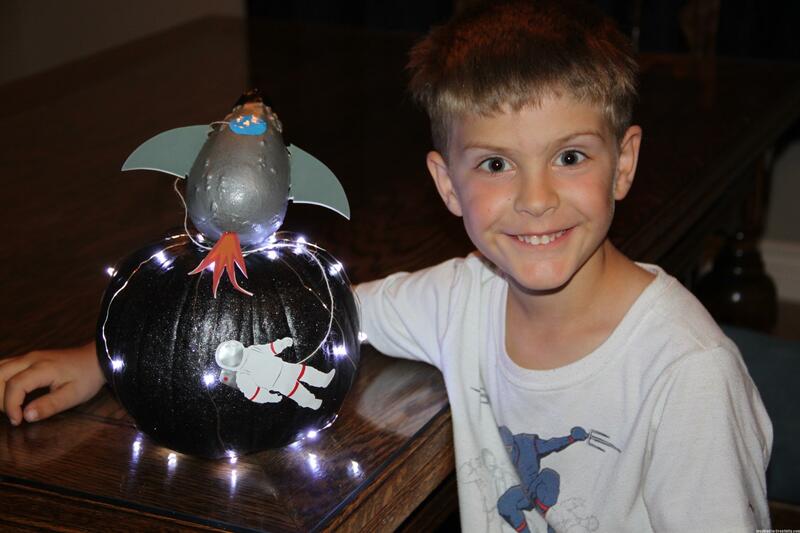 The lights on the pumpkin were placed using foil tape and the battery pack is on the back of the pumpkin. The gourd and the pumpkin were placed together using a skewer. He is so excited to take it to school tomorrow!